In 2006, the Colombian government passed The Code for Children and Adolescents, which recognizes children and adolescents as subjects of rights and stipulates that it is the responsibility of the family, society and state to make sure their rights are not violated. However, unfortunately many young people in Colombia are exposed to risk factors that hinder the full enjoyment of their rights. According to figures released by the Colombian Institute of Family Welfare (ICBF), 1,391 cases of child abuse were processed in the first quarter of 2015; according to national reports in 2014, the Cauca Valley (which includes Cali) recorded the second highest number of child abuse cases in the country. In addition to experiencing violence in their homes, many young people also experience it at school, in their friendships, and online. This abuse has taken the form of cyberbullying through social media such as Facebook and Instagram. Regardless of the type of abuse they experience, young people do not always know their rights or how to access services when their rights are being violated. Founded in 2003, Corpolatin has more than 12 years of experience listening to the voices of children and adolescents, promoting the recognition of their rights, and helping them develop the skills to resolve their problems or access additional services when needed. 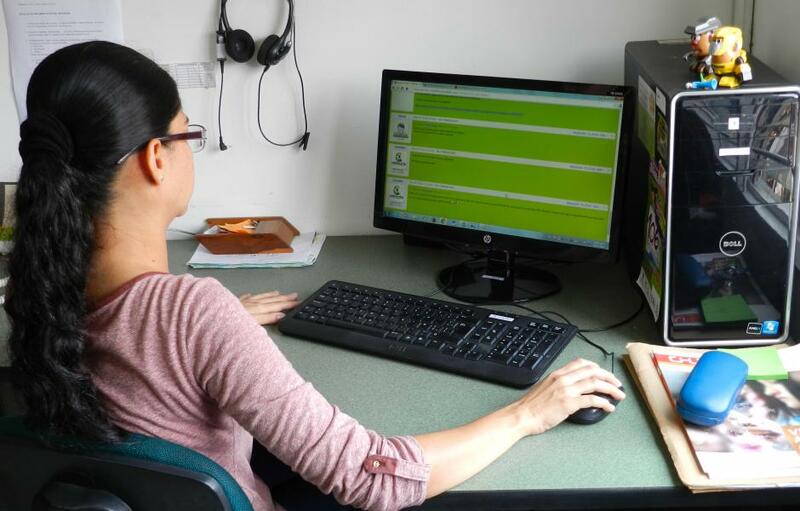 Through a free helpline and newer online services, a team of psychologists offers emotional support and information to vulnerable young people and their caregivers. Although half (52%) of the inquiries Corpolatin receives are related to young people’s mental and emotional health, it also refers young people who are experiencing violence or other violations of their rights to appropriate government agencies or service providers and follows up to ensure that the problem gets resolved. The organization also provides in-school workshops to inform young people about their rights and the services available to them (including Corpolatin’s hotline and website) and to develop leadership skills that allow the young people to become agents of social change. Corpolatin has developed a vast network of partnerships with local, regional, and national government entities and is recognized for its expertise on child protection issues. It is also a member of Child Hotline International (CHI). EMpower’s 3rd grant to Corpolatin partially supports its training of students from eight schools on sexual and reproductive health, internet safety, violence prevention and gender, parents and teachers on how to identify and protect their children/students from risks on the internet, and provision of psychosocial support to young people through its free hotline and online services. Where is Corporación para la atención integral de la Niñez (Corpolatin)?